The cupola that you see today was designed by Norman Foster and added to the Reichstag building during its last set of restoration work in 1999. It is a spectacular sight and its modern style contrasts greatly with the rest of the building: it measures 23 metres in height, 36 in diameter and is made of glass and steel. Anyone interested in visiting it is free to do so. 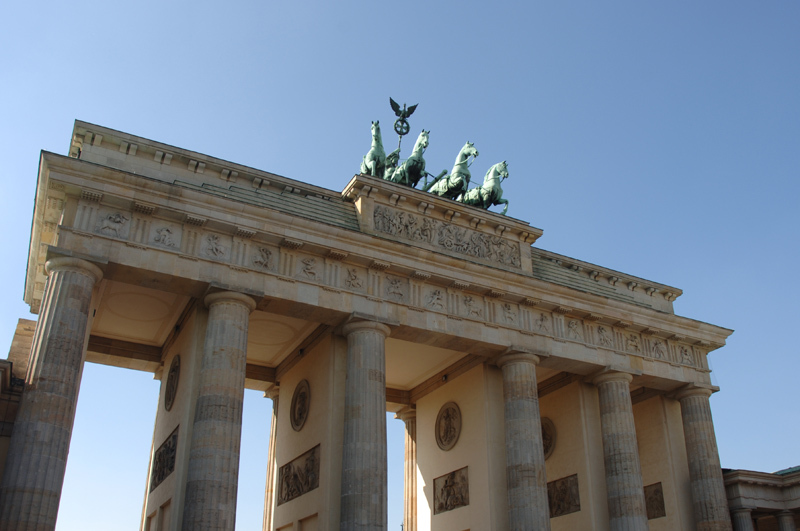 It is open to the public and is actually one of the most visited places in Berlin. Via a lift you arrive to the cupola’s base, where from a terrace there is a magnificent view of the Brandenburg Gate and a large area of the city. There is also an elegant cafe-restaurant here. Next, you can get to the cupola by going up a series of ramps until you come to the end. The cupola stands right on top of the assembly hall, so if your visit coincides with a parliamentary session, you can watch the politicians in action through a kind of glass funnel. At the very top there is also a small photo exhibition all about the building’s history. The cupola closes for a few days four times a year so that it can be cleaned. However, the public still has access to the viewing point. Next to the Reichstag you will find the Government district, which was created when the government base moved from Bonn to Berlin with the change of capital.